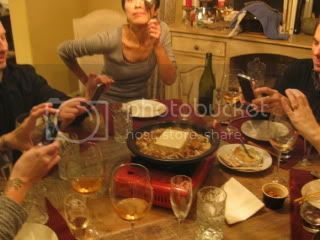 HAPPY DONABE LIFE - Mrs. Donabe's Rustic Japanese Kitchen: Donabe Dinner in Sonoma 2...Tofu, Matsutake, Yuzu, Duck and more! Donabe Dinner in Sonoma 2...Tofu, Matsutake, Yuzu, Duck and more! On the second night in Sonoma, we had a couple of guests for our donabe dinner. They have never tasted donabe dishes before. Kyle and I made all the dishes with donabe. A little snack with Champagne aperitif...my donabe steam-roasted fingerling potatoes with Yuzu-kosho mayo dipping sauce. 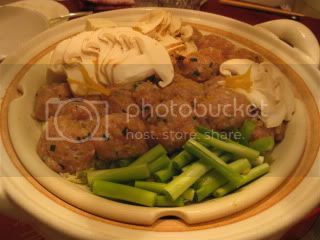 It was cooked with tagine-style donabe, "Fukkura-san". (recipe is here) It was just a pre-dinner snack, yet these simple donabe-cooked potatoes made a huge impression on our guests already! Donabe cooks potatoes so good that they turn to something special. 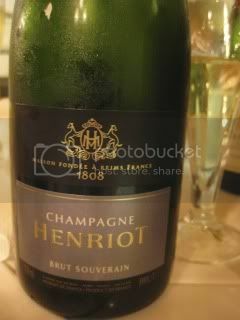 With Henriot, Champagne, Brut Souverain, it was so hard to stop eating these little potatoes. 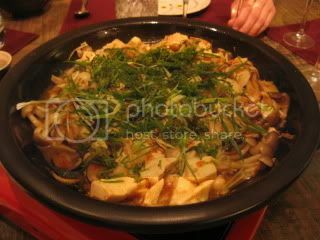 Another course with tagine-style donabe, "Fukkura-san", was my donabe steam-fry sizzling tofu and mixed mushrooms in miso-sake sauce. They turn to donabe paparazzi! 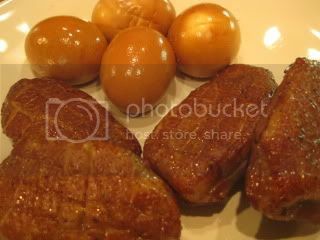 With donabe smoker, "Ibushi Gin", I did simple smoked duck breast and eggs with creamy wasabi sauce. As soon as they tasted, one of our guests tweeted about it! 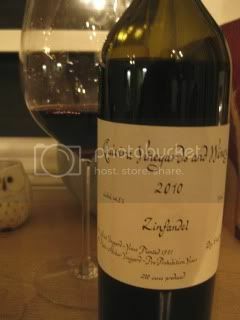 Smoked duck and 2010 Quivira Vineyards, Old Vine Zinfandel, made beautiful mariage. Part of the vines are from pre-prohibition era! 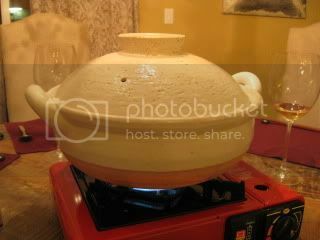 Kyle did an amazing steamed dish with donabe steamer, "Mushi Nabe". 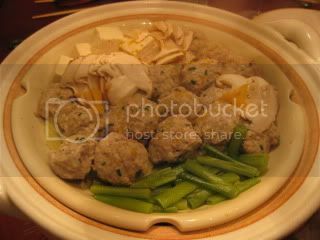 It was chicken meatballs and matsutake mushrooms, steamed over deep chicken broth. 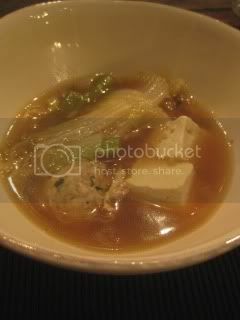 As soon as they were steamed, these ingredients were divided into bowls, then the broth in the donabe was poured over. Great presentation, super deep flavor. 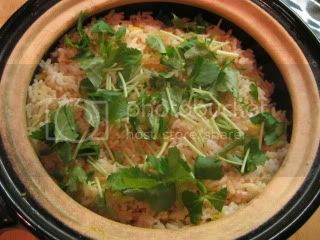 Rice course was yuzu butter rice, which was cooked in double-lid donabe rice cooker, "Kamado-san". I used my home-polished brown rice, so they were first surprised by how fresh the rice tasted, then they just loved tasting this super aromatic rice with such simple ingredients. It was a great fun, and great success. Everybody loved everything. That's the donabe spirit.